The upcoming flagship SoC from Qualcomm was believed to be called Snapdragon 8150 due to its SM8150 denomination found in early benchmarks, but the official name will be Snapdragon 855. Details on the modem, NPU, GPU, CPU clusters and imaging features were also leaked ahead of the official announcement that is scheduled to take place later today at Qualcomm's Technology Summit. Several key features of the upcoming flagship SoC from Qualcomm have been leaked right before the company’s Technology Summit that will be held later today in Hawaii. First of all, the chip will officially be known as Snapdragon 855, despite everyone calling it Snapdragon 8150 up until now. This was probably due to the SM8150 codename that has been popping up in benchmarks for some time now. Then there are some interesting new details on the architecture that may provide info on how this chip would fair out against Apple’s A12 Bionic and Samsung’s Exynos 9820 SoCs. Roland Quandt from Winfuture claims that the first wave of Snapdragon 855 SoCs will not supports 5G. 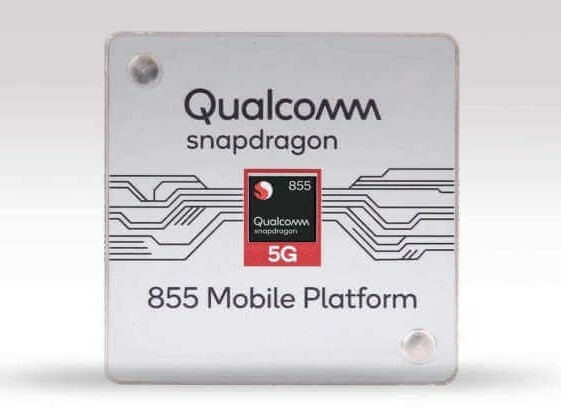 Apparently, Qualcomm originally designed the chip to integrate the X24 LTE modem, but we know the X50 5G modem is ready to ship to other OEMs, so we could definitely see handhelds sporting both the Snapdragon 855 and the X50 5G modem. 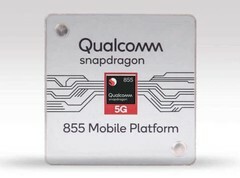 A.I.-related tasks were not ignored, as the Snapdragon 855 is said to include a dedicated NPU with 3X the performance of previous SoCs. Additionally, there is a feature called “Snapdragon Elite Gaming” which will OC the processor and GPU frequencies whenever a graphics-intensive application is accessed. Speaking of GPUs, the new SoC will integrate the Adreno 640 accelerator, and the CPU part will include three separate clusters, with only one high-performance core running at 2.84 GHz, three more performance cores running at 2.42 GHz, plus four efficient cores running at 1.78 GHz. The new SoC will also expand the imaging features through a new computational vision engine that can enhance images and videos captured in low-light environments. This new engine will most likely work in tandem with the NPU to provide advanced options and image modes. A full list of Snapdragon 855 specs will be announced today at Qualcomm’s reveal event.